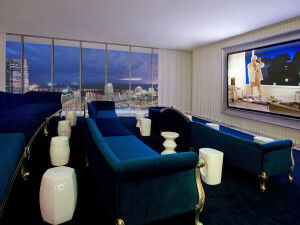 Put up the velvet rope for your own private parties in the SLS Party Room or host an exclusive movie night in the SLS Screening Room. Passed hors d’oeuvres, sit-down dinners, or top shelf bar service, along with flowers, lighting and other atmosphere enhancers can all be organized through SLS catering and event departments. See the sunrise, swim in tranquil waters far above the city, feast on catered delicacies from José Andrés’ cuisine, watch the sunset, and do it all over again the next day. 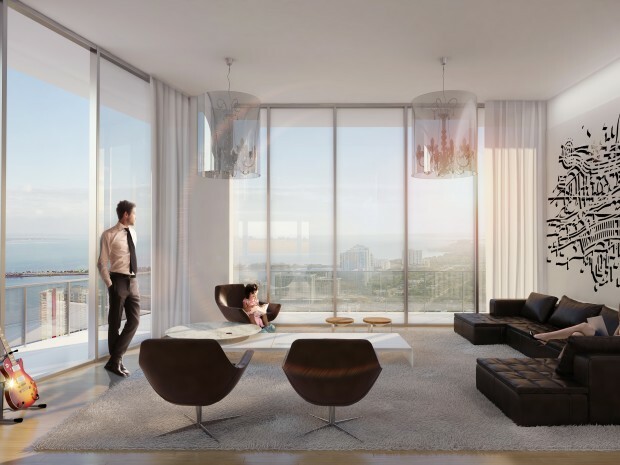 The tranquil atmosphere of the Sky Roof, exclusively for SLS condominium residents, gives you a whole new perspective on life in Miami. Residents can take advantage of THE CODE VIP beach access to SLS South Beach, cabanas, lounges & fresh towels await you to lounge the days away. 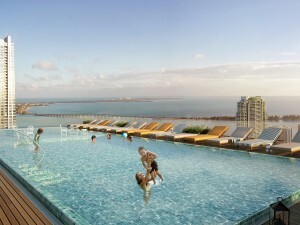 Or revel in our open air pool deck with spectacular views spanning downtown & the bay.